As the month-long festivities of Ramzan come to an end, people’s hearts are filled with joy at the approach of Eid – which this year falls on July 6. One such family is the Mirzas in Hyderabad, who’re eagerly awaiting the culmination of the spiritual festival. The elder daughter of Imran and Nasima Mirza, Sania Mirza is India’s tennis sensation whose extraordinary career has made the country proud. She is currently ranked number 1 in the world in the women’s doubles category, and has won championship trophies at numerous Grand Slam tournaments and other events. In addition, she has been a recipient of many awards and accolades, including a Padma Shri, an Arjuna Award, the Rajiv Gandhi Khel Ratna Award, and so on. Sania’s younger sister Anam is a fashion designer and stylist who, along with fiancé Akbar Rasheed, has curated ‘The Label Bazaar’, a fashion exhibition that brings together the freshest talent from across the country to showcase their trendy designs. The second edition of their exhibition will take place on July 22 in Hyderabad. This week, we talk to the family about their perceptions of Eid, and what they enjoy most about the festival. Eid is all about sharing happiness and joy with family and those close to you, so the Mirzas spend the entire day visiting their near and dear ones. “Every year we have a dinner get-together on Eid at Nasima’s sister’s house. We chat and spend quality time together, over scrumptious food and desserts. The sheer khurma is the cherry on the cake,” says Imran. As we all know, Eid is a day of rejoicing and happiness. It’s the day when Muslims the world over thank God for giving them the will, strength and endurance to observe fasts during the holy month. “It is a celebration of a month of abstinence and the coming together of family and friends,” he says. It’s the peace in prayers and breaking their fast together during iftar that they most anticipate. Owing to her professional career and tight schedule, Sania is often unable to fast throughout the month, but she does make it a point to fast whenever she’s not playing a tournament. 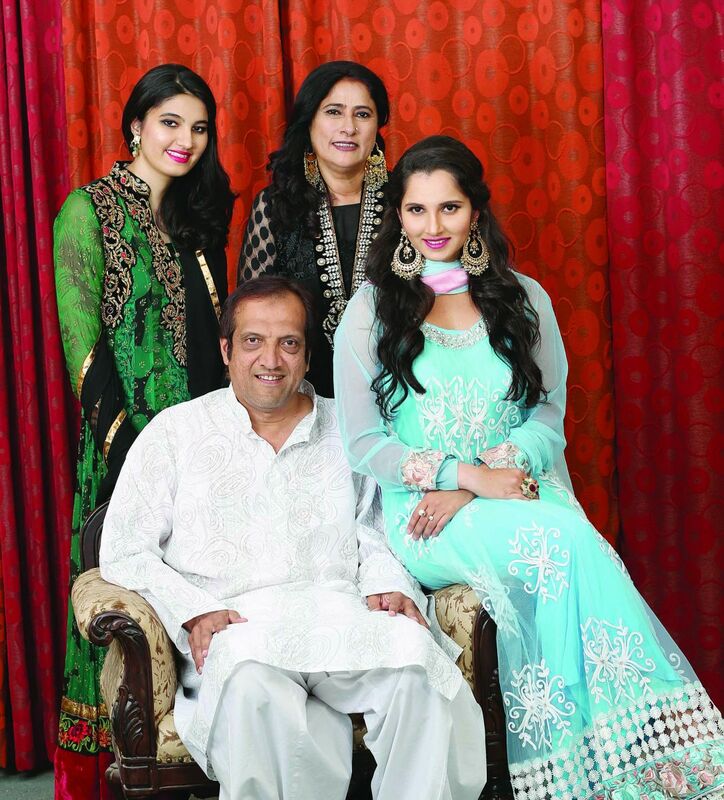 Although the Mirzas will not all be together this Eid (Sania is currently competing at the Wimbledon Championships and her husband, cricket star Shoaib Malik, is in the West Indies), the family looks forward to celebrating together in the city after their return, hopefully with a trophy in hand!